Today we awoke to the sound of howler monkeys and the toucans. This was the first time since we have been back that we have heard them and it was quite a racket!!! The day was very hot this morning but then the rain came this afternoon and cooled everything off. This morning we went to the post office and got a post office box so we can get mail! This is a big deal. Prior to this June, we had to hope that mail would be delivered to the bus station and we could pick it up but now we (and everyone else in Puerto Viejo) have options 🙂 . 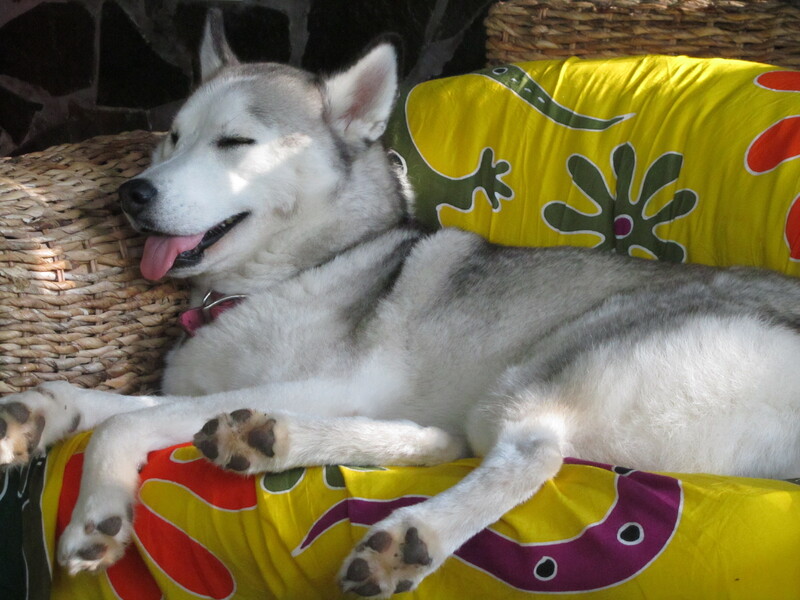 Sounds like a fabulous life, and of course Kaya seems to be agreeing with it!